I love playing around with new recipes, and of course any time your are doing something with bacon you cannot go wrong right? I decided to make Mini Tartlets with Caramelized Onions, Bacon and Gorgonzola Cheese. I know that some people are not a fan of Gorgonzola, so you can definitely experiment with different cheeses. Even just using Cambazola Cheese would work which has a very small hint of Gorgonzola in it. Note: You need a mini tart pan for this recipe! Caramelize onions: Put approximately 2 tablespoons olive oil and 1 tablespoon butter into a pan and wait for butter to melt at medium high heat. Then put onions in pan and stir. After about a minute or so add a small sprinkle of sugar and cook for approximately 20 minutes at a lower heat (medium to medium low). The sugar will help the caramelization process. When done set aside. Cook the bacon in a frying pan and when almost done sprinkle sugar and minced garlic on top. Cook until crispy, but not burnt. Let cool, then chop into small pieces. Roll pie crust out. Cut small circles using a small round cookie cutter or a small glass. You want the circle of pie crust to fit perfectly in the mini tart pan, so you may want to test with a piece of paper first. Grease mini tart pan with cooking spray and place the pie crust circles using a tart press or your fingers. 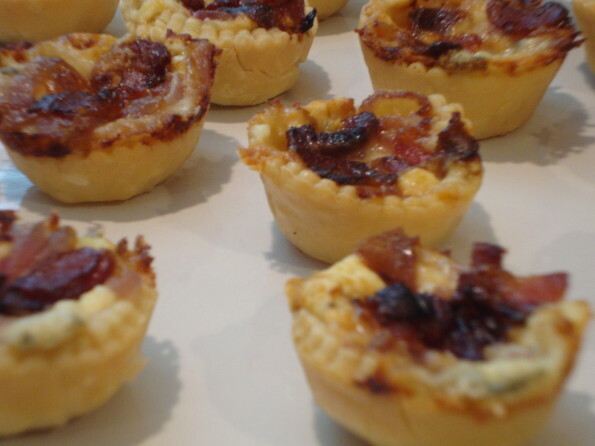 Fill the mini tarts: Add Cambazola cheese, caramelized onions, bacon and blue cheese crumbles on top. Cook at 375 for approximately 20 minutes. Let the mini tarts cool before trying to take them out of the pan. 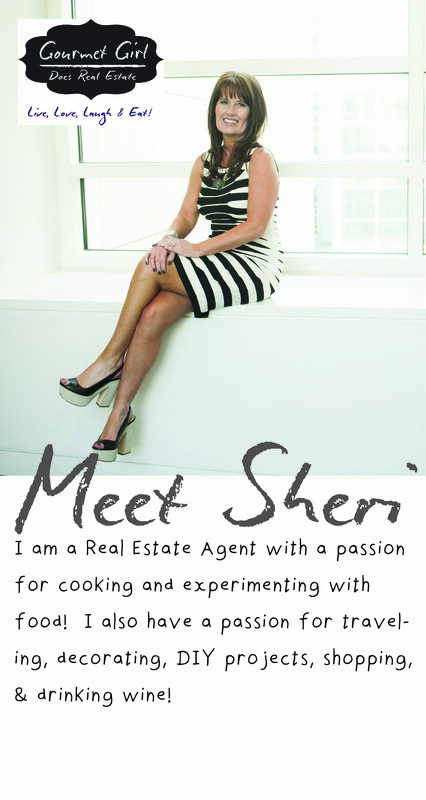 Want to get new recipes via email every time a new one gets posted?